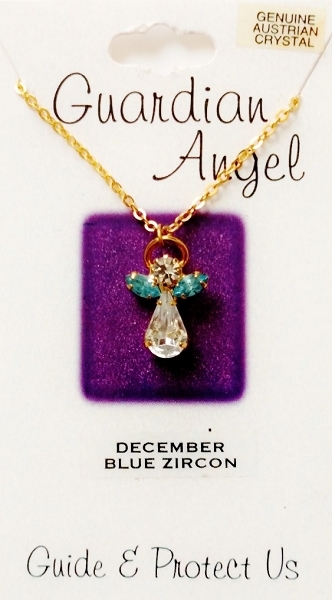 Indulge yourself or a loved one into this absolutely beautiful Blue Zircon-December Birthstone Guardian Angel Pendant Necklace, gorgeously crafted from Gold tone metal and Genuine Austrian Crystals, and 18" long thin chain. As shiny as Diamonds, Genuine Austrian Crystals deliver unbeatable sparkling look. 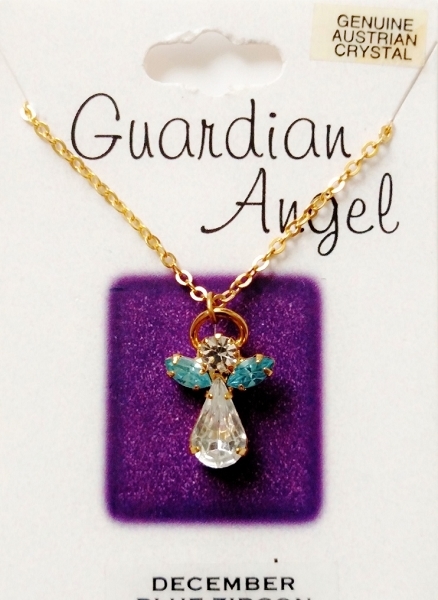 The Angel Pendant is approximately 7/8" tall. Proudly Made in USA.